We bring the world you love into the world where you live. Our homes reflect our creativity as well as our lifestyle. They also mirror the things that we love. 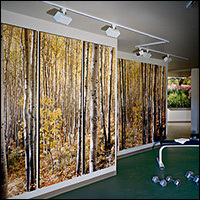 Allow us to work with you or your designer to create custom art for your interior spaces.